I was always pretty impressed with the craftsmanship and quality of this guitar, but never really bonded with it, mainly because the multi laminate neck gave the guitar a bit of a stiff and lifeless feel. 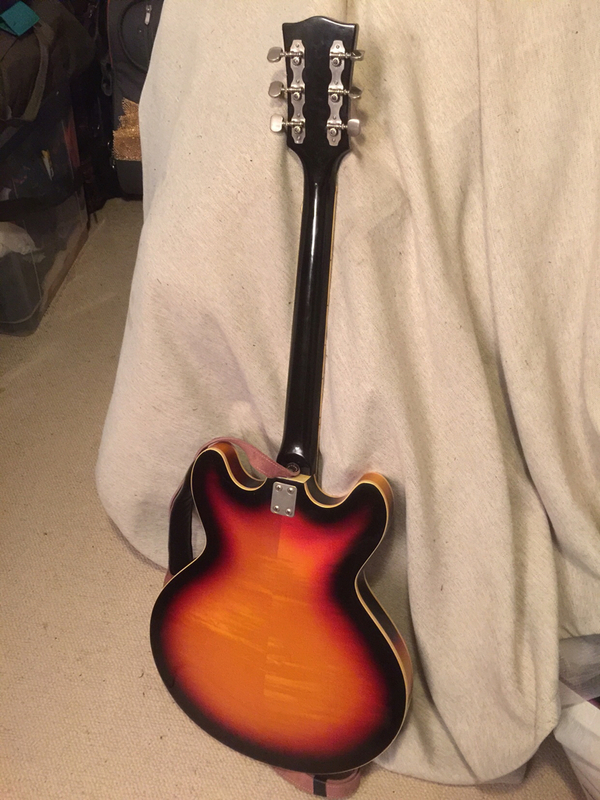 Since the neck is bolt on, I decided to do a little experiment and I bought a mahogany Asian made neck off eBay for around $40 and replaced the Framus neck with it. 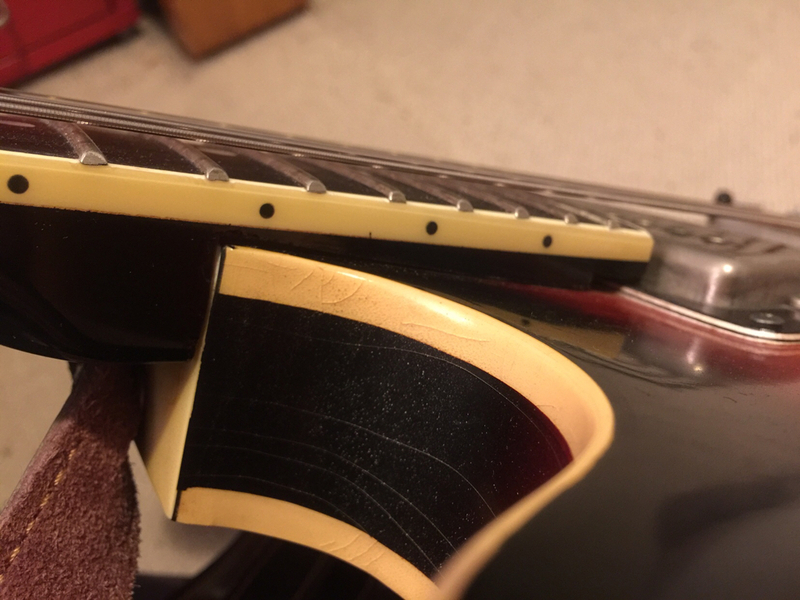 I figured if it wouldn’t work out, I could always put the original neck back on. It was a tedious job to shape the heel of the neck to fit in the Framus neck pocket, but I managed with a Japanese saw and a chisel. Got the angle right! 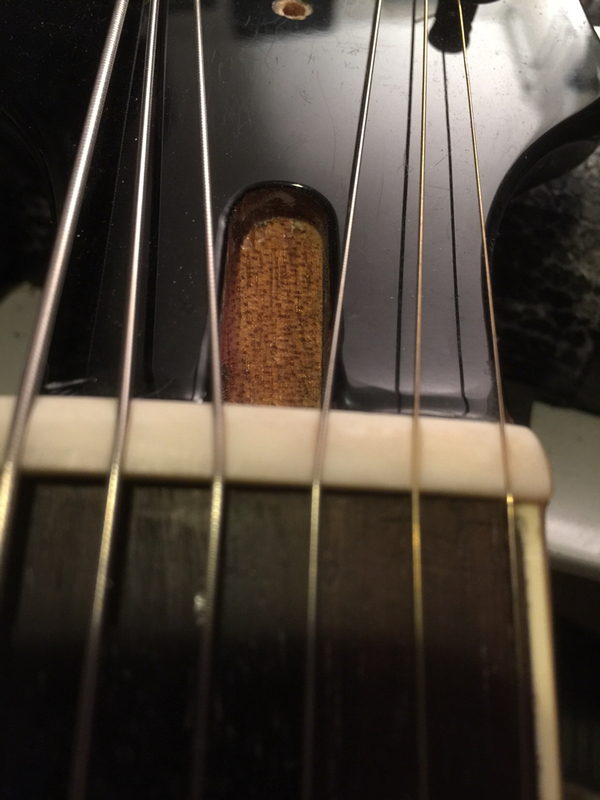 The frets needed some filing, especially the sharp edges, as did the top nut (which was bone to my surprise!). But after that it al feels good. I also replaced the tremolo with a simple generic tailpiece. And here’s how it sounds with the new neck. I am pleased! I like the sound and playability is great. 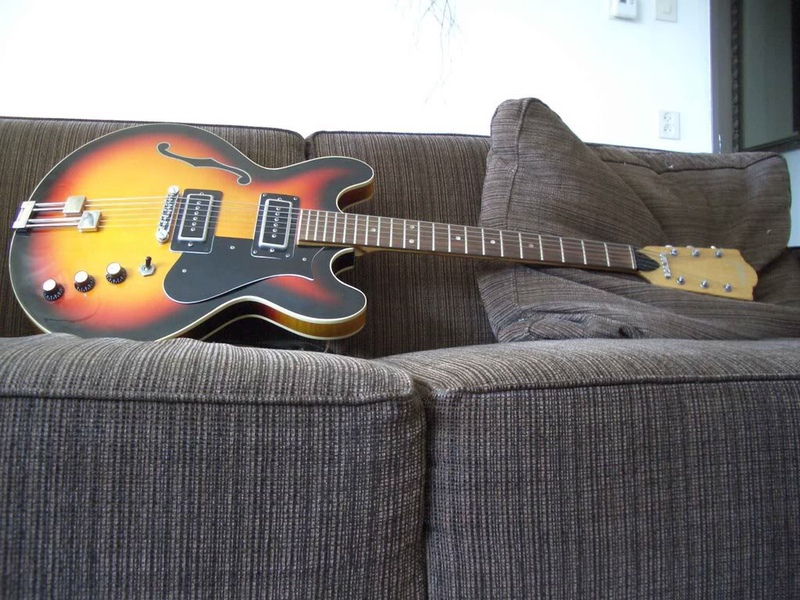 The guitar is very light, even lighter than my ES-125. You did a fine job and it sounds great. My Caravelle is mostly a simpler version of the Billy Lorento model, that featured a much nicer neck (even with the open book headstock design) but the same body and pickups. 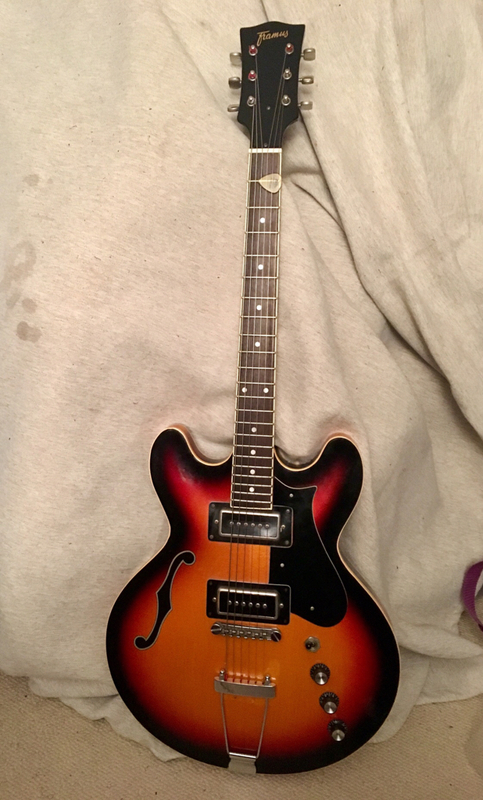 And since I am a fan of mahogany necks, which are available for not too much $$ on ebay (I checked scale of course), this quickly lead me to the idea of changing the neck. I had prosponed that for several years because I feared I wouldn’t be able to shape the heel to fit correctly in the neck pocket, especially with the correct angle. But I took a deep breath and tedious cutting with a Japanese saw and a chisel worked out well! That Caravelle looks and sounds great! 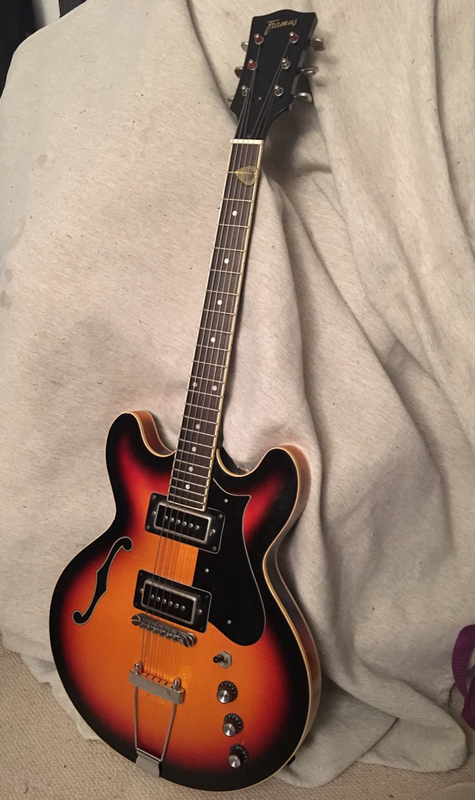 I have a ‘68 BL-15 which is very similar to your Caravelle except no vibrato and different single coil pickups, although my pickups may be same guts under a different cover. Mine sounds similar to yours, but the pickups are extremely microphonic. How microphonic are yours when you tap on the wood top? The BL-15 has a much different voice than my other guitars, so I’ll keep it around. I’m really impressed with the pickups other than the microphonics, so I plan to pot them in paraffin soon. I’ll practice my potting skills on junk pickup first, then the bridge pickup, then if all goes well I’ll do the neck pickup. I’ll post more info about mine after more discussion about yours. I’ve never had a guitar with a bass control (unless it was in a preamp). The BL-15 pickups have a lot of bass, so it’s nice to be able to roll it off a bit from the guitar. 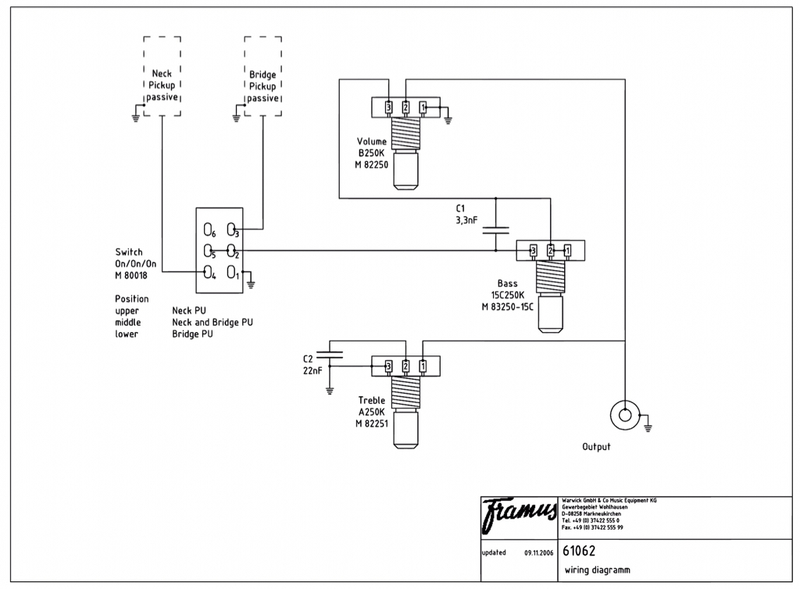 I found a Framus schematic for one of their recent guitars with a bass control, and assume our controls are pretty much the same. I can post that later, when I post my photos. Nice job! Can we see a pic of the back, to see the neck wood and your joint? -- Isn't it crazy that "archtop" and "luthier" are spelling errors on this forum? A bass control? That’s what it is? It doesn’t do anything in mine, I’ll have to take the electronics out and fix it then, ‘cause it seems like a cool feature to have! Yes please do post that schematic! I owned an Atlantic with those pickups and they are different then the ones in mine. The Atlantic was almost unusable on stage because of feedback. Potting might help indeed! Sure! 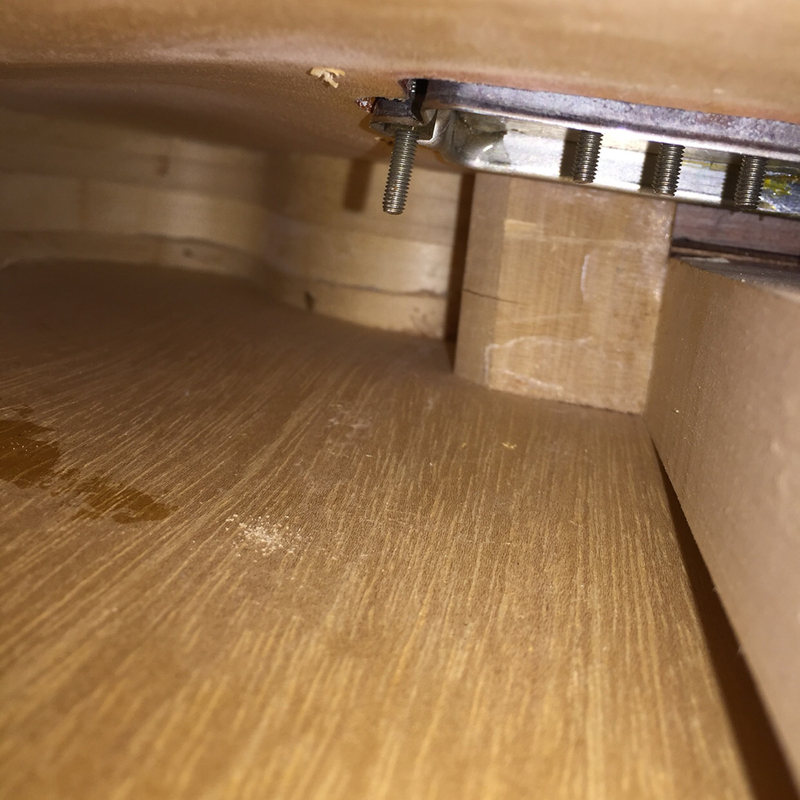 Not much wood to see, since the finish is pitch black, but I photographed the truss rod cavity for you. I don’t know what kind of mahogany it is, but it’s kind of light and more towards the softer Meranti-woods I guess. It sure doesn’t compare to the Honduras of my ES-125! I didn’t take pics of the shaped heel, sorry. I’ll try to remember to do so next time I take it off. But I removed enough wood and finish to confirm it’s a solid wood neck (most probably with the headstock glued on in a scarf joint fashion). Last edited by Little Jay; 12-10-2018 at 10:33 AM. Yes, those are the pups on my BL-15. 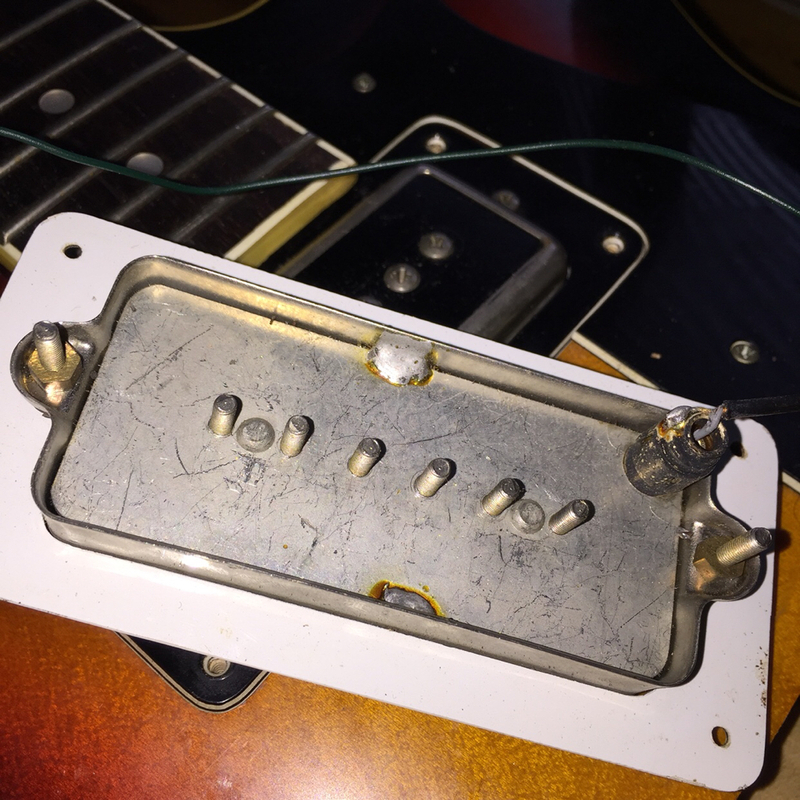 I’ll bet my pickups were’t so microphonic in 1968, but the coils probably loosened up over the years. A slightly microphonic pup can add some character, but it’s really annoying to have the slightest tap come through the amp. Paraffin on a double boiler should fix that. Most DIY sites use 20% beeswax, but Lindy Fralin now advises 100% paraffin. I’ll use his method, but probably in a double boiler as I have no glue pot. I’m guessing ours is similar. The bass cut circuit is simply a capacitor in series with the hot side of the pickups shunted with a pot. When the pot is full up it shorts the cap and you hear the natural tone of the pickup. I start with the bass pot full up and only dial it back if I need a thinner tone. 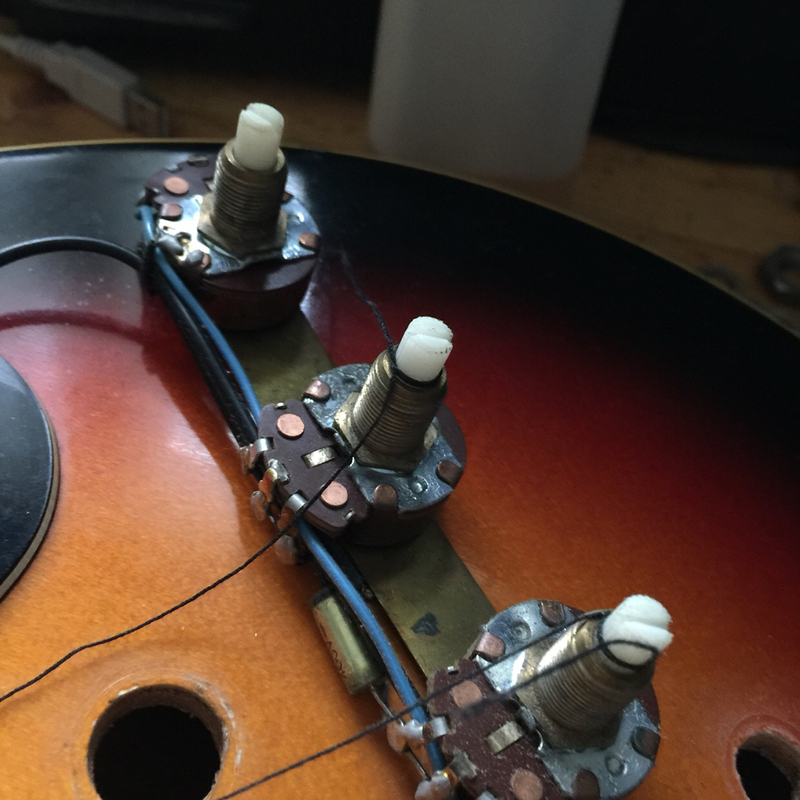 The treble cut circuit is a little unusual as it’s wired after the volume pot instead of before. These days that’s often called 50’s-style since early Les Pauls were wired that way. My pots and switch are a little scratchy. I’ll see if I can clear that up by flowing a tiny amount contact cleaner in the switch and cleaner/lubricator to the pot through the top. Seems like they would be very difficult to remove and replace through that f-hole on the other side of the center block, so I’d like to avoid that. Does your guitar have a label under the f-hole? Mine has model, serial, inspector, and inspection date. Will provide my photos later. Last edited by KirkP; 11-09-2018 at 04:39 PM. Ah, I didn't get the black part earlier. Nice joint! But the pickup cutouts are large enough to work through. And my Caravelle doesn’t have a center block, just a narrow block from bridge to tail, so it’s almost fully hollow. So no label either. But the original neck has 77F stamped on the back of the headstock. Well done! The guitar looks nice and sounds great. Kudos! It’s so satisfying it worked out in the end with this guitar and I found the missing link that turned it from an okay-ish instrument into an instrument that I can use on stage! I forgot about access through the pickup hole. You’re right, mine has a lot of room there too, in spite of the thin body. And the block on mine also runs from the bridge to the tail. When I bought mine it sounded horrible, but the neck was at the wrong angle and the bridge was set very low to get the action right, resulting in insufficient break angle over the bridge to keep those roller bridges from rattling. 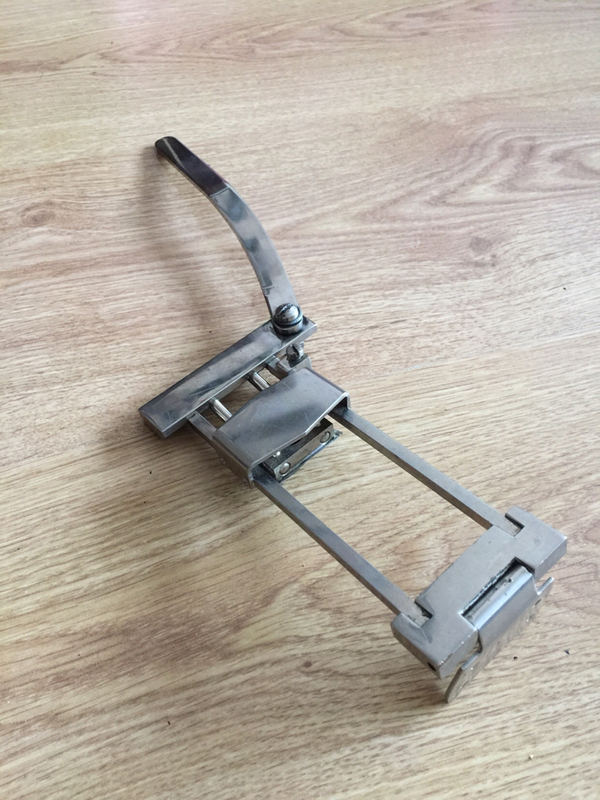 It was corrected by shimming the neck pocket and raising the bridge. Instant neck reset! I need to loosen the truss rod just a smidge to remove some fret buzz, but otherwise I think the original laminated neck will work for me. 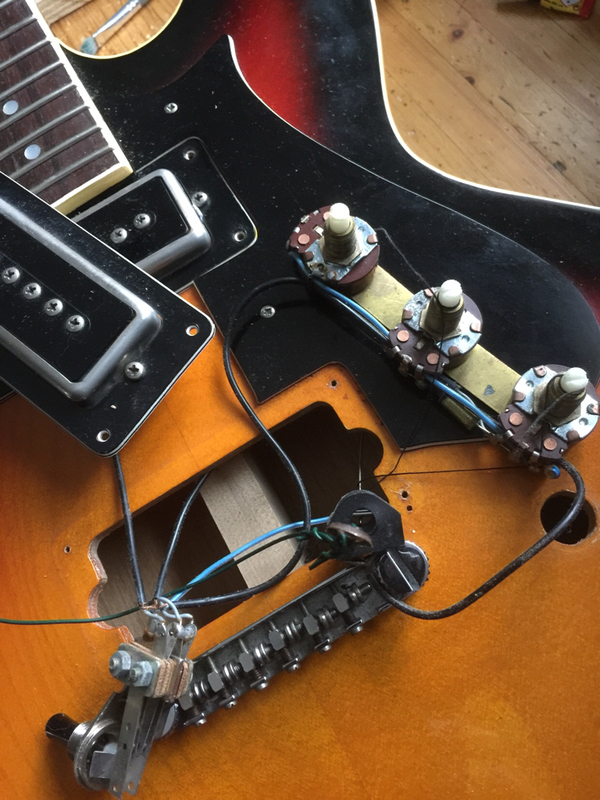 I opened the guitar today and re-routed the electronics, following Kirk P’s schematic. To no prevail: funny enough it works just the same as before! The bass-pot only had an ever so slightly effect, I don’t really notice any bass increase or decrease (maybe the little capacitor is leaking or non-functional?). 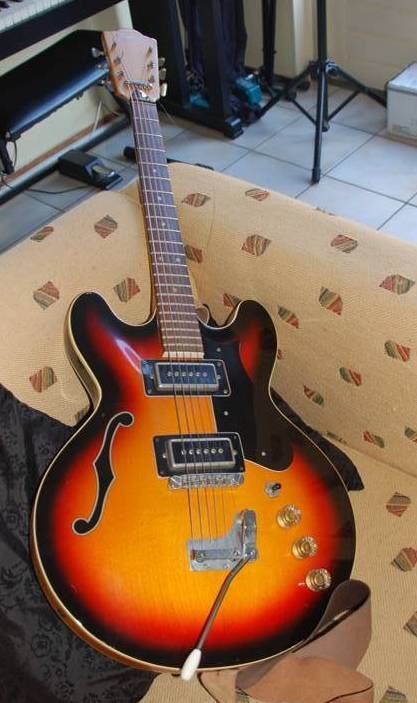 I will open her up again sometime and just do a 50ies wiring with 1 tone and 1 volume, my favorite! Those photos are very helpful. Is it difficult to reinstall? Having the three pots on a metal strip should make things easier than I expected. The effect of my bass pot isn’t dramatic, but it’s very audible. It’s not that critical though, since it’s rare to need to adjust the bass level while performing. If I disabled it I’d try to think of some other function for the pot. One thought would be to make it a second tone control in parallel with the normal one with a different capacitor. Different capacitors give you a different treble rolloff curve. Or a switch could be installed there to switch different caps in the treble pot. I’ll try to post my pix soon. Last edited by KirkP; 11-10-2018 at 02:53 PM. I have some techniques. You can see the wires I tied around the pot shafts before pulling them out. I use these to pull ‘em back into position. The metal ground plate makes things a lot easier for sure! I was thinking of that as well, but I don’t think I really need it.... so 50ies wiring is the best option I think. 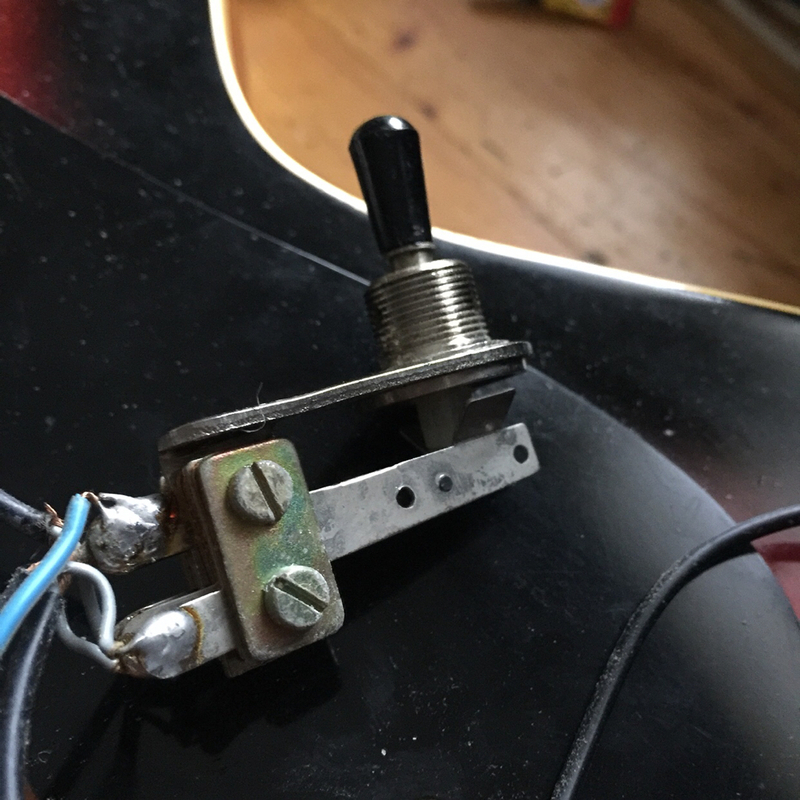 For the jack, I also use an old string, but I put the other end through the input hole, pull it into place, and then just pull harder to get the string out. I find that the partially unwrapped coils provide enough strength to get the jack into place, but it can then be pulled completely through. I usually use a B string, but any will work. Nice job. The guitar looks and sounds great. 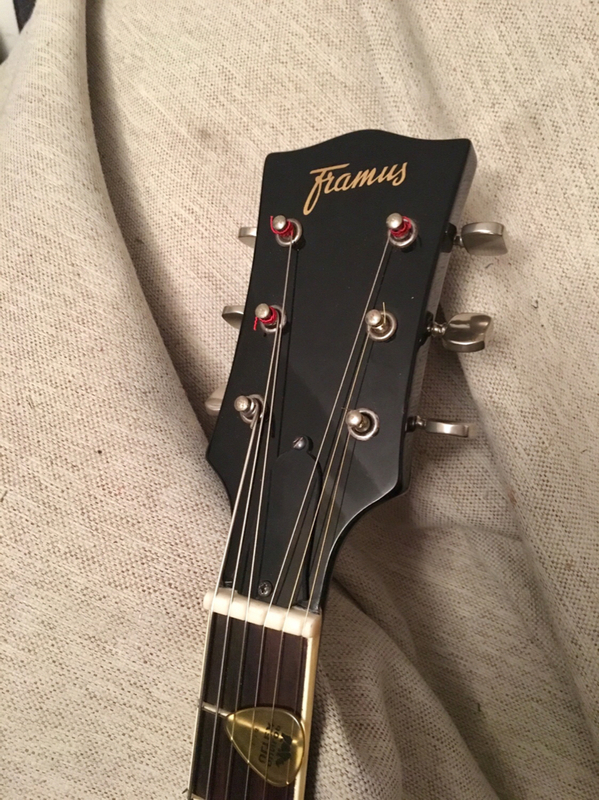 I have an old Framus Missouri from about 1966. Mine has the same type of multi-laminated bolt-on neck that yours had, except that it has an angled headstock like most guitars. 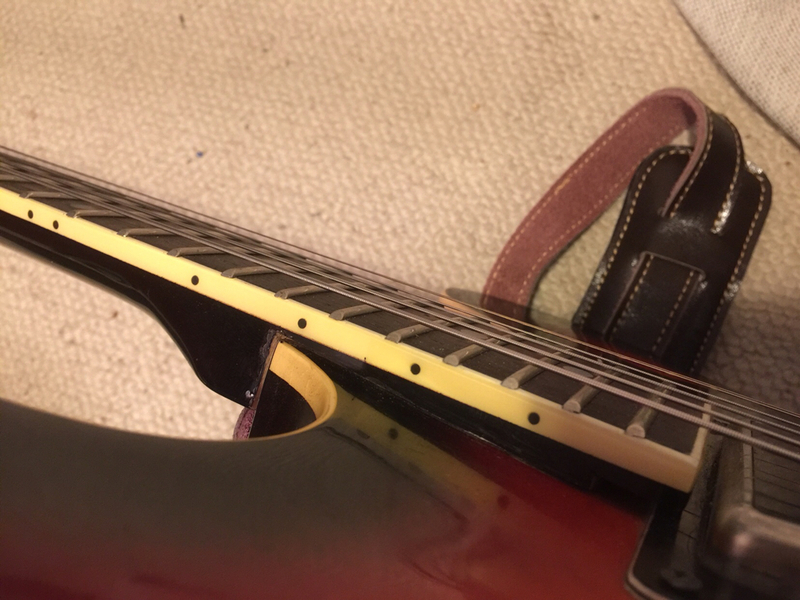 I actually like the feel of the neck and it has been very stable during the 45 years that I have owned it. The action is unbelievably comfortable. It has a laminated spruce top and mahogany back and sides, with a tapered body depth (thin at the upper bout and wide in the lower bout). It’s fully acoustic and sounds great. 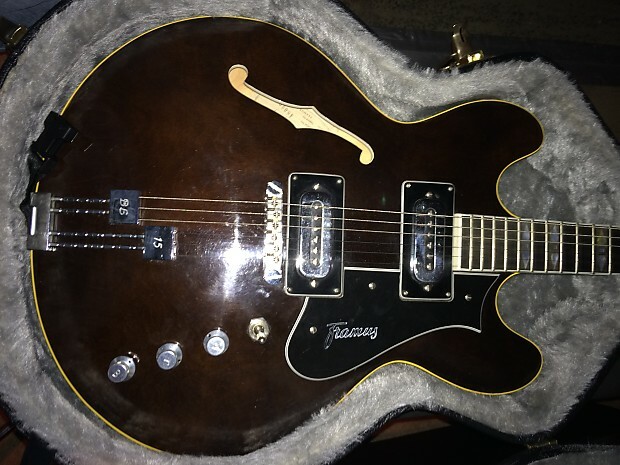 These old Framus guitars are cool and known for their excellent playability. I’m sure they can be picked up at bargain prices. Or find an ABM 1266 - maybe Norbert has one. Not cheap, but they do come up on ebay.de once in awhile. I'd sell you one from Canada (I have over 20 of them here) but it's probably not worth the shipping/tax headache to The Netherlands. Last edited by Hammertone; 11-11-2018 at 06:15 AM. Hammertone is a registered Hofnerologist. Nicely done. 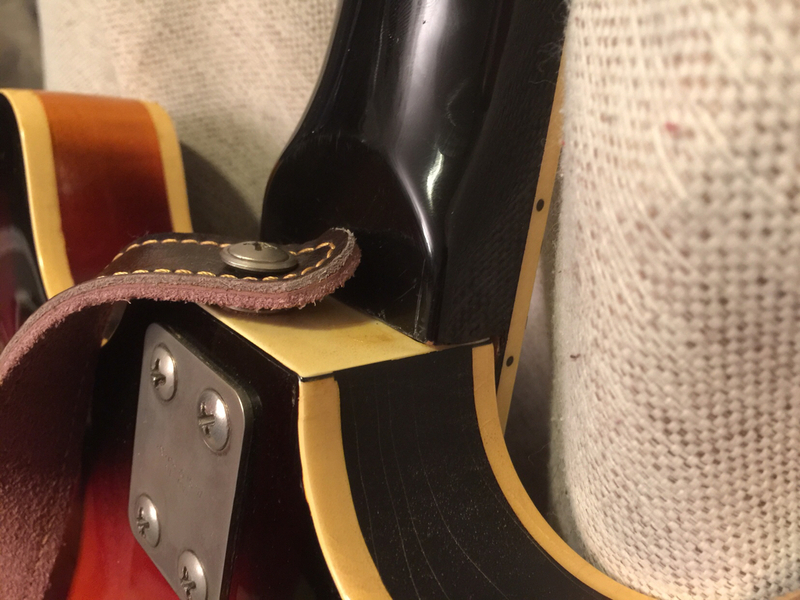 But PLEASE replace that utter POS Furutama cheapie tailpiece with a proper German tailpiece. Norbert has one old Framus tailpiece that would be perfect - you should get in touch with him (see attached) at Musikeller Dorsten - a lot closer than Toronto. Ha! Funny you mention that, because yes, that’s the first thing in my mind to be replaced by something better indeed!